Completing the module(s) for qualifications in Test User: Occupational, Ability and/or Personality with Selection by Design involves an easy, step-by-step process. 1. Register for Test User: Occupational, Ability and/or Personality training. You may do this through our online registration form . 2. Pay for the course(s) via your choice of payment options. Your enrolment will be ensured when we have received full payment for the course. Arrangement for an employer’s/business invoice may also be made. Please contact us for details. 3. You’ll receive an Introductory Packet welcoming you to the course. The packet includes a summary of basic mathematical/statistical concepts (for your optional review) and some test materials to be completed prior to the start of the course. 4. Attend training classes for your courses at the designated location: Test User: Occupational, Ability and Test User: Occupational, Personality each run across two days. 5. Complete the Assessment Portfolio for your course(s). The Assessment Portfolio will include exercises covered during training and assignments individually completed as homework. Candidates have 6 months to complete their portfolios and return these to Selection by Design. 6. Your Assessment Portfolio(s) will be reviewed. Your Test User competencies in occupational testing will be evaluated based on observations and interaction in class as well as through written work submitted in the Assessment Portfolio. You will be informed of the outcome of the review. In the unusual event that a delegate fails to initially demonstrate competency, they are given the opportunity for recovery assessment. 7. 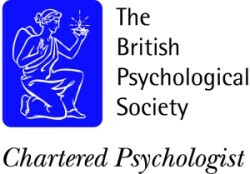 Your qualifications will be recorded with the BPS by your Assessor when you have been judged competent in all areas related to either of the Test User qualifications. The BPS will then contact you to progress registration as a Test User and to settle payment for registration. You are also qualified to apply for the EFPA European Test User Certificate, Level 2. Full instructions on registration and fees are provided at the end of each training course. You may enroll in either Test User: Occupational, Ability or Test User: Occupational, Personality, or in both courses together. Please note, however: portions of material covered in Test User: Occupational, Ability are prerequisites for Test User: Occupational, Personality training. By registering for the two courses together, you’ll receive a €150 discount on the total cost. Training Locations Candidates attending training sessions can look forward to meeting at professional facilities that are centrally located and easily accessible. Daily Training Schedule Courses begin each day at 9:30 am and finish at 5 pm. Breaks take place at regular intervals throughout each day. Training Session Format During course sessions instructional materials are provided through a combination of hard copy and audio-visual format. Trainer presentation, group discussion, and collaborative and individual work take place. Examples of different types of psychometric measures are used throughout the courses. Hands-on practice in working with test materials is an important aspect of the training. Training Course Group Size Selection by Design limits training groups to a maximum of 12 delegates per group. Two trainers will work together to deliver your course. The limited size of our courses and the presence of two Chartered Psychologists throughout training offers candidates several advantages. 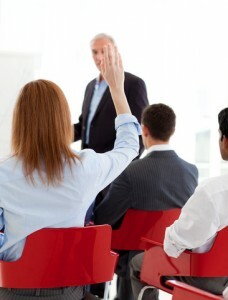 Individualized attention and personal interaction between delegates and trainers is possible. Delegates are ensured a thorough understanding of presented materials. As a result, you’ll feel comfortable in your own abilities to use occupational tests when you’ve completed the course(s). A relaxed and confidential atmosphere encourages delegates to share concerns or discuss application of course materials to their own needs or personal situations. What to Bring to Training Sessions You should bring a calculator with a square root function, pen/pencil, and completed test materials received in the introductory packet to the first training session. Note: Selection by Design’s Test User: Occupational, Personality training is instrument specific for the 16PF (5th ed.) If you are interesting in registering for Occupational Test Training with Selection by Design, please complete our online registration form or contact us.